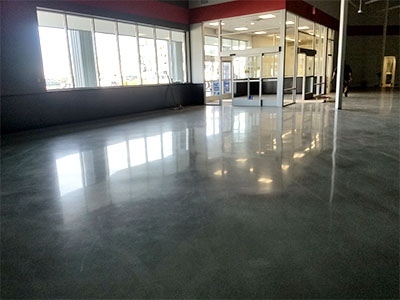 Polished concrete overlayments are self-leveling mortars that can be applied directly on top of concrete to provide a decorative yet durable floor that may not have been possible by polishing the existing concrete. 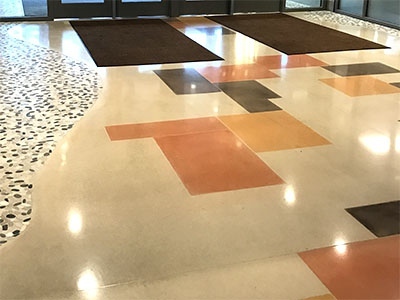 Polished concrete overlayments are used in commercial, institutional, residential and recreational facilities and can incorporate colors and aggregates to create numerous design possibilities. 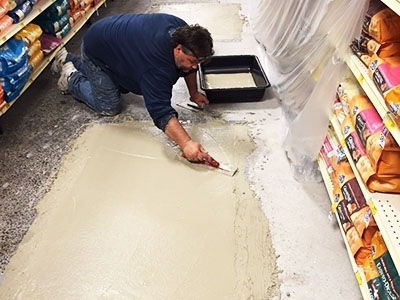 The Rapid Set® TRU® line of self-leveling overlayments are available in gray and natural colors and with different aggregates to achieve vastly different appearances. Three projects illustrate Calcium Sulfoaluminate (CSA) cement-based products are highly effective materials to use when needing to meet aggressive timetables, reduce costs and achieve high quality results. These materials have far more rapid set times than portland cement, and allow for a range of architectural touches and decorative finishes, including colored and polished overlays. Product used is TRU Self-Leveling. The retailer wanted an aesthetically pleasing surface that could withstand the high traffic of both customers and their pets. Work had to be scheduled around store hours, with the floor ready for foot traffic by the time the store opened for business each morning. Product used was Concrete Mix. University of Cincinnati Arena upgrades concrete flooring, multiple concourse levels, locker rooms, restrooms, and underneath the wood basketball floor. Products used were TRU PC and TXP Epoxy Primer. Concrete Visions uses mirrored-glass aggregate to create a polished concrete overlay that mimics a winter wonder every day of the year. Product used was TRU Self-Leveling. 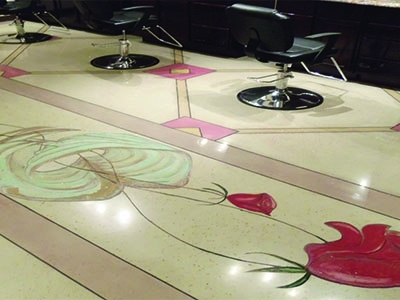 The owner requested a decorative design be added to the polished concrete floor surface. The chosen design was a display of roses with angel wings embracing the long stems. The mural was scored into the floor and the 3-D effect was brought to life with varying dyes and pigments. Product used was TRU Self-Leveling. Waikiki Trade Center was transformed into an upscale, 230-room hotel by Swinerton Builders Hawaii. The hotel includes street-level retail space and Nordstrom Rack. 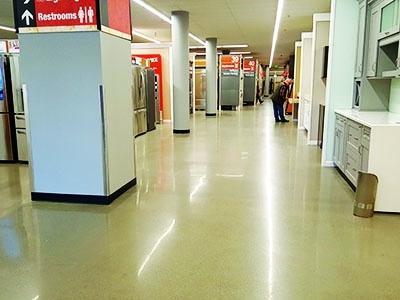 Nordstrom specified Rapid Set® Products for the overlay, which included LevelFlor, TXP Epoxy Primer, and TRU Self-Leveling. 12,000 sq ft of floors in common spaces, corridors, and the lobby were polished and decorated with a colorful block pattern. By the project’s end, the contractors and design team were able to come under budget with beautiful results and students at the new elementary school will be able to enjoy a creative, collaborative learning environment. Products used include TRU Self-Leveling, TRU Self-Leveling Spiked Roller, and TXP Fast Epoxy Primer. 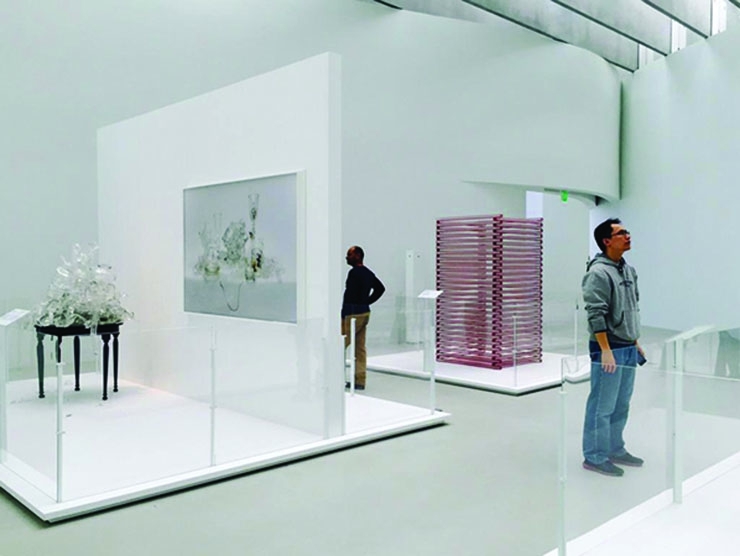 The extensive amount of repairs required to meet JCP’s expectations will strengthen the industry and keep expectations high when it comes to polished concrete. Product used was TRU Self-Leveling. The project’s scope included 9,000 square feet of concrete overlay and resurfacing both indoors and outdoors for walkways, hallways and more. A non-porous, cementitious surface was required, and the crew was working against a tight timeframe to completion. Products used include Acrylic Primer and TRU Self-Leveling. 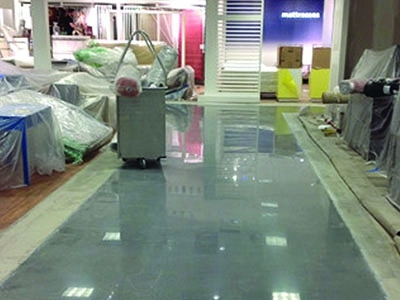 The build-out of Michaels included replacing 18,900 sq ft of cracked, uneven flooring with polished concrete. 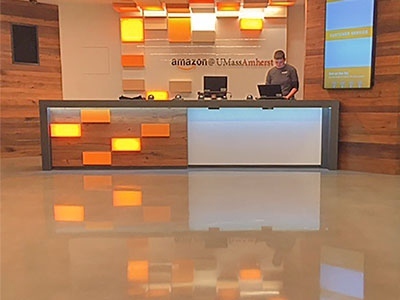 It took two weeks to complete surface prep, the overlay application and polishing, which was almost three times faster than tearing out the floor and replacing it. Products used include TRU PC and TXP Fast Epoxy Primer. Home Depot needed a showroom floor in a short amount of time. 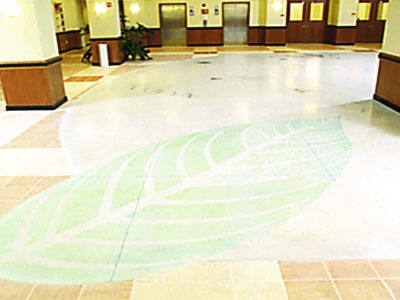 This fast-track project used fast-setting products to transform an old, wavy concrete slab into high-sheen flooring. 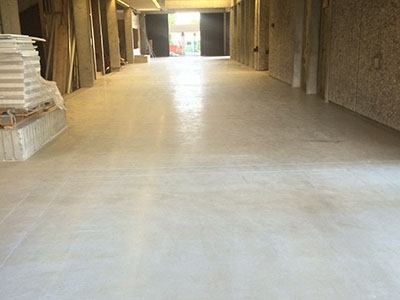 The project team used a high performance cementitious topping that could be easily polished to a high sheen. Products used include TRU PC and TXP Epoxy Primer. 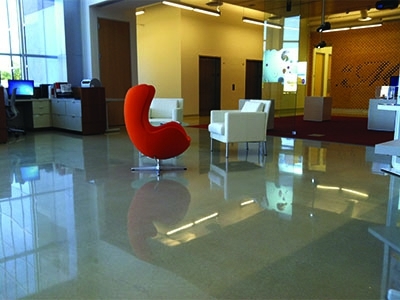 Thin coatings that can be polished work wonders on floors new and old. But applying them right takes know-how. Tri-State Underlayments/Franz Floors only had four days to restore 1,200 sq ft of the existing flooring before interior framing began. 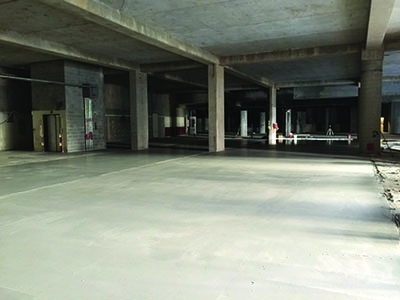 For this reason, the contractor chose to use Rapid Set cement products to install the flooring, because they set quickly to produce 3,000 psi in one hour and full strength of 8,000 psi in one day. Products used include Concrete Mix, FLOW Control, SET Control, TXP Primer, TRU Self-Leveling.